Was working on a little walking related project yesterday and noticed how much I missed Mooky's path generator so I have created one to use. Will only draw the last 4 tiles on the ground, and the last 10 on the map. I found that for long paths the drawing gave serious lag. OT: Not to be a jerk but your modifiers are misplaced when the code is generated static should go before final. 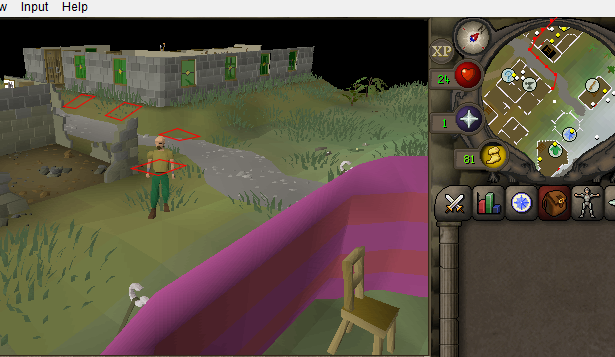 Won't this create a very predictable pattern for Jagex to catch you with if you use the same tiles for traversing every single time? How is this different than using findPath().traverse() ? how do i use this and what is this for? Thanks, just used it, saved a lot of time. No problem haha, I was using it a couple minutes prior to your comments so I was also quite confused.